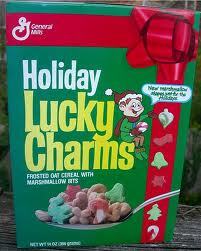 I was rarely allowed junk food cereals at home (plenty of other junk food, just not cereals). When I did try some of them at friends' houses, I didn't really like them (Frankenberry was nasty!) 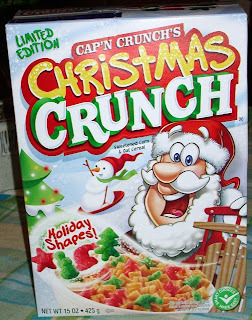 I was happy with Rice Krispies with a little bit of added sugar; cereal that talks to you is fun! 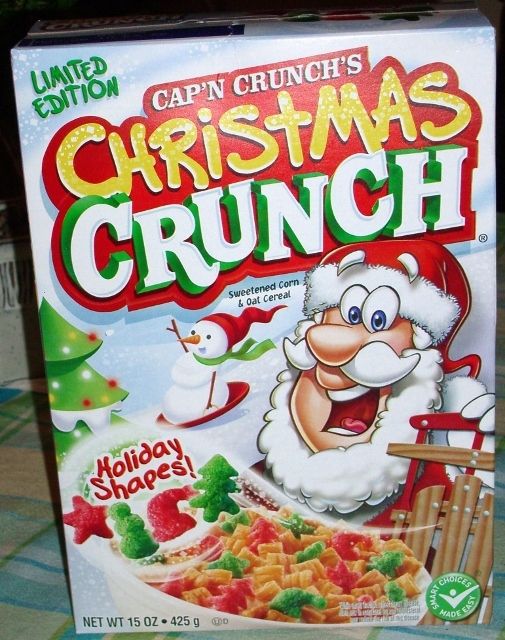 I forgot all about Christmas Crunch! I want some, but not for that price. Hmmm.. I seem to remember a holiday Fruity Pebbles. Can't remember any others right off hand.